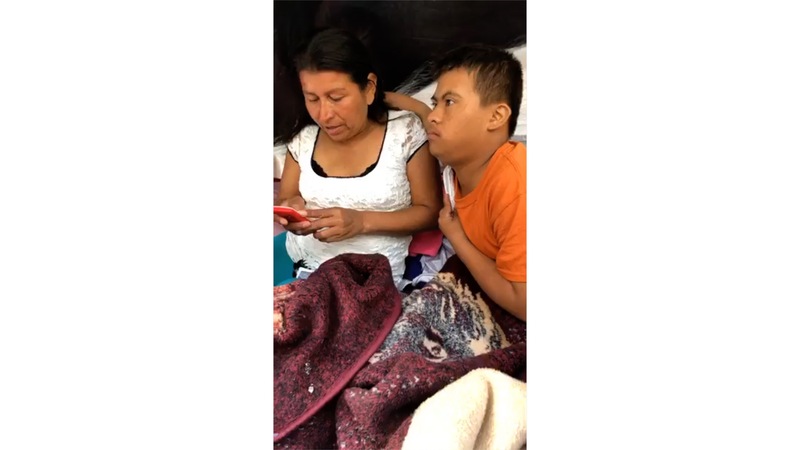 Maria Luisa Cardenas is traveling with her 15 year-old son Javier Antonio who has Down syndrome. Gangs burnt her house, killed her 2 brothers. She left on the day of their funeral. Javier is sick. He isn’t getting the right medication. She has video evidence of her claims. They are looking for a family to sponsor them. They’re at the camp for now. **update – Nov. 23rd – Maria & Javier were moved inside to the gym. They’re still here. Hi Sam, I’m Yushuang from The Paper (thepaper.cn), one of the most influential news outlets in China with more than 100 million online subscribers. I am writing a feature story on the caravan, but unfortunately, I’m not able to be at the scene. I’ve been following your live posts on Facebook and Twitter for a while and think the stories you are covering are more credible than some mainstream media. The caravan has yet captured much public attention in China, and people here hold very negative views against migrants. Hence, your opinions will be immensely helpful to me. I’m hoping you could comment on 1. in your opinions, what has been changed since you first arrived in Tijuana? 2. as violence continues to escalate, migrants still want to get into the U.S., or they start to think about their Plan B? 3. a week ago, you asked some migrants whether they were afraid and most said no. Is this still the case? 4. how is the situation likely to unfold at the border? Thanks in advance.